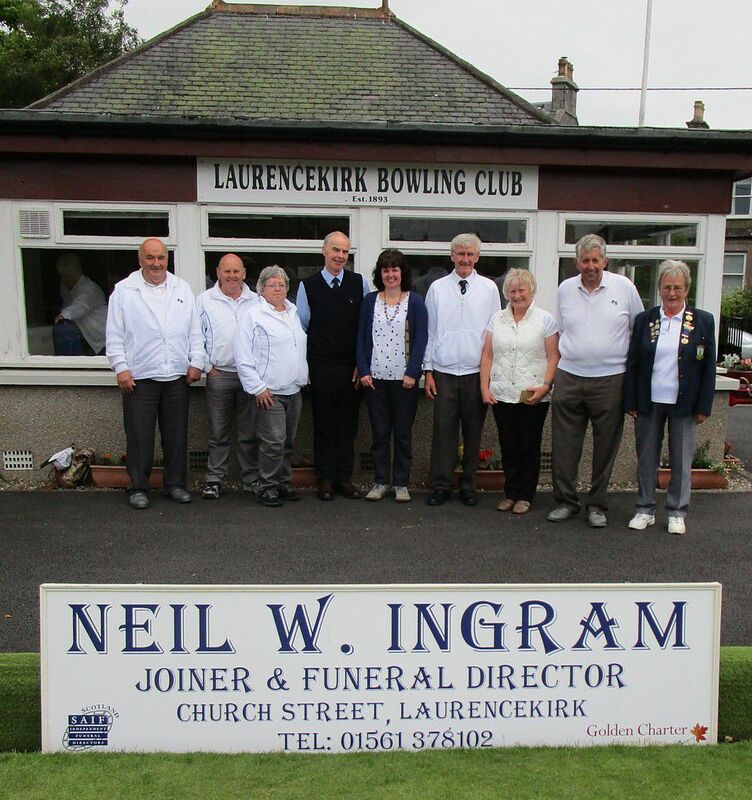 The Laurencekirk Bowling Club Open Triples competition, sponsored by Neil Ingram, Joiner and Funeral Director, was held on Sunday 19th June. A full complement of 24 teams from 12 different clubs started the competition in fine, warm weather. Later in the day however, it became cold and windy. Despite that, the competition was keenly contested, and following a round robin and quarter finals, the four teams remaining in the semi finals comprised two from Laurencekirk, one from Edzell and a composite Portlethen/Bervie team. One of the Laurencekirk teams emerged to meet Edzell in the final. In the hard fought final, the Laurencekirk triple of Willie Robb, Frances Roberts and David Bruce squeaked home by 6 shots to 4 against the Edzell triple of George Barclay, Gillian Barclay and Andy Barber. Neil and Alison Ingram presented the prizes, and are pictured with the finalists and Club President, Margaret McNicoll.